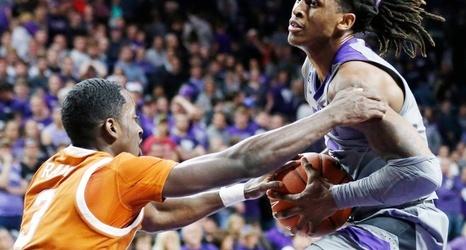 The Kansas State basketball team will be without one of its top reserves against Texas on Tuesday night. Cartier Diarra, a 6-foot-4 sophomore guard, didn’t make the trip to Austin because of an injured finger, according to sources with knowledge of the situation. Diarra was absent from a team photo taken during practice Monday that the Wildcats posted on social media and was later spotted on campus with his shooting hand wrapped, per one of the sources. It is unclear how the injury occurred or how long he will be sidelined. K-State coach Bruce Weber didn’t respond to a message seeking comment Tuesday morning.